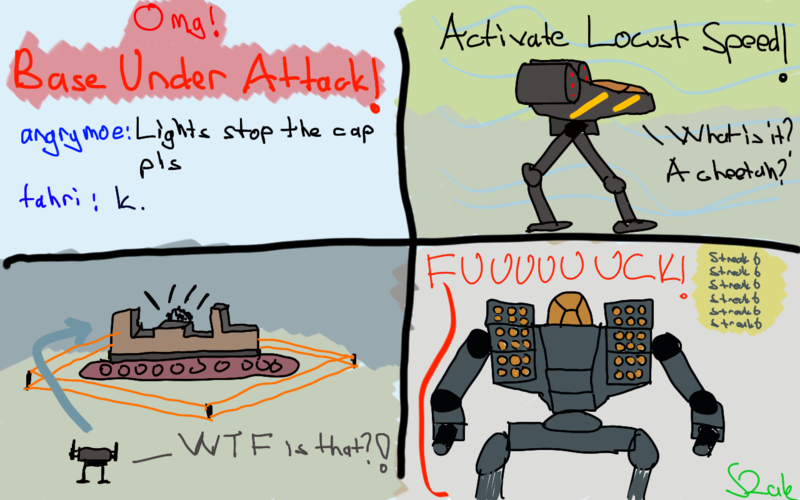 Home / comic / "Base is under attack"
This happened to me a lot in the solo queue recently . . .
New design for Rak's Armory! 3D printed King Crab by Agent Cooper! Laser lock system is canned?